Our CMN partners are best-in-class service providers that collaborate with us to help you do ministry even better. Each partner offers exclusive pricing and services for CMN churches, and has made it their mission to help you succeed in your community. AG Financial Solutions is the only affiliated and endorsed financial services provider of the General Council of the Assemblies of God. AG Financial offers retirement planning services, planned giving tools, quality loan products and other financial services competitive with the finest for-profit financial institutions in the country. Aplos aims to make it simple to manage a church so its leaders can focus on their mission. One of the leading providers of online financial software and services, Aplos is used by over 20,000 nonprofit and church leaders in over 125 countries. Church Community Builder offers web-based church management software designed to equip and empower leaders with the tools they need to grow disciples. As a faith-based, nonprofit organization Convoy of Hope has helped more than 70 million people throughout the world by sharing food, water, emergency supplies, agricultural know-how, and opportunities that empower people to live independent lives, free from poverty, disease and hunger. Both online and in print, Influence aims to unite and edify the Church through content marked by integrity and creativity. Influence's approach to the Christian life is holistic, offering a faith-based context for cultural and current events, as well as providing practical insight for your family, daily life, career and community. Influence's vision is to see the Church embodied by individuals who are empowered by the Spirit to live their calling for the sake of the Gospel. Their mission: Providing a Christ-centered, Spirit-empowered perspective that propels people to engage their faith - as individuals, in community, and with the global Church. 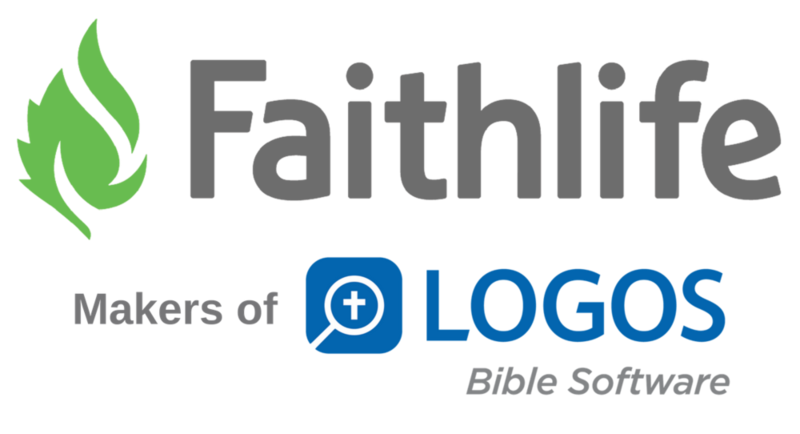 Faithlife is a tech company committed to the Church. Their goal is to use technology to equip the Church to grow in the light of the Bible. This is the mission behind everything they make – from Bible software, to Christian books, to mobile apps, and more. Radiant Printing is your one-stop-shop for all church marketing, printing, portable signage, design, and direct mail needs. They help churches and church planters look great and save money. The goal of the River Valley Network is to help pastors build strong and thriving churches. They love the local church and love to hear about pastors and churches that are thriving and growing. Their network hosts an annual church leaders conference, where likeminded leaders rally together to worship God, talk church, and become better together. Tithe.ly exists to help the local church thrive by providing mobile giving and church engagement apps that connect with people on the go. With their innovative set of online, mobile, and text giving tools, your church will be equipped to raise the fund you need to spread the Gospel. Velocity Productions creates unforgettable environments, where people experience Jesus Christ, through the use of technology. Because people will always remember how you made them feel. What began as an event production company, has rapidly become so much more. Velocity brings three divisions together; Live Event Production, Audio/Video Lighting Integration, and Video Production to provide full creative services designed to engage, inspire, and exhilarate our clients as they connect with their audiences. Visioneering Studios, Inc exists to provide turn-key solution services through its family of affiliated companies. Real estate transactions, planning, interiors, architecture, re-construction, budgeting, design-build, construction management and general contracting are all provided through Visioneering.